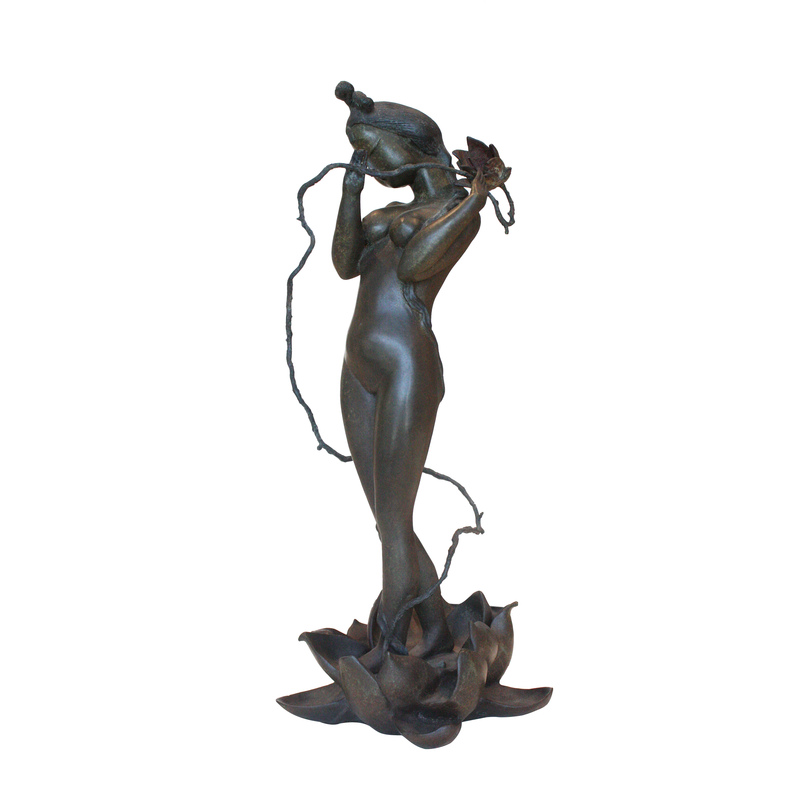 The "lotus" series of sculptures use copper-cast materials, each of which presents the viewer with the light green of the ancient tea, so that each beautiful woman can express a kind of temperament when it expresses its own beauty. Hey, pretty, strong, and sturdy, all beautiful. Lisa takes the beauty of the beauties, and borrows the homonym of "He" and "He" and "He" to bridge the spiritual world of the ancients. The classical beauty through the sculpture, let us fully appreciate her Artistic charm.